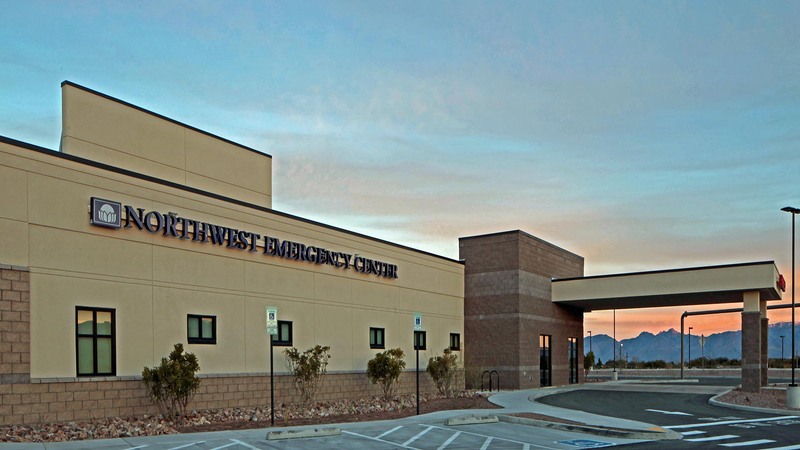 The Northwest Emergency Center at Marana is a new construction prototype design located in Marana, the northwest section of the Tucson Metropolitan area. Marana is a fast growing community with high demand and an underserved population. Prior to the completion of this project, residents of Marana were located a minimum of 25 minutes from medical care. The new compact, freestanding emergency department provides walk-in and ambulance admissions served by a 24-hour hospital staff for convenient, easily accessible medical care in the Marana community of Tucson, Arizona.